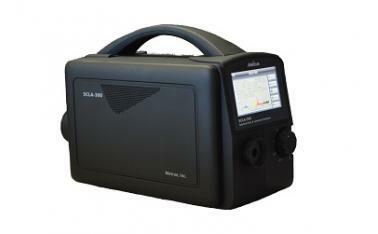 The SCLA-300 is a high accuracy spectral radiance meter capable of taking measurements of very low luminance. Its variable aperture allows for the ability to change the measurement field size, meaning that it can measure many different sized objects. It is portable and can be remotely controlled via USB or wireless making it ideal for both lab and field applications. 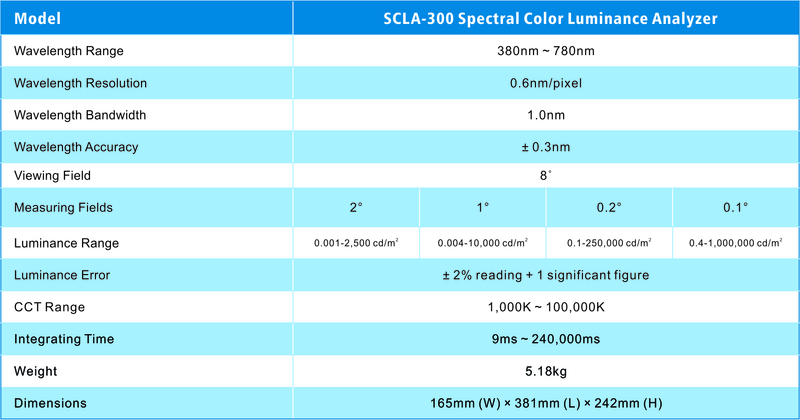 ➔ Extremely large measurement range: Luminance: 0.001 cd/m2 to 1,000,000 cd/m2. Copyright © 2014 Metrue, Inc. All rights reserved.